Dropbox and Microsoft have announced that they’ve teamed up to make your mobile productivity experience better on iOS and Android. 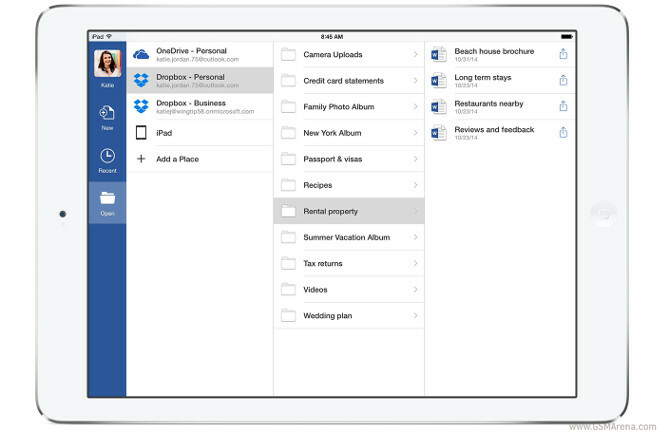 Soon the Dropbox app will work with Microsoft’s Office apps for the aforementioned platforms, and viceversa. You’ll be able to edit Office files from the Dropbox app as well as sync changes across your devices. All edits will be automatically saved to your Dropbox. In the Office app, you’ll be able to access files which are stored on your Dropbox – it will show up as another source from which you can pick and choose which file to open, for example (see the image below). The ability to save files to Dropbox will also be present in Office. Also from Office, you’ll have the possibility to share Dropbox links to files. This will be an option inside the Sharing menu in Office, so it’s going to be pretty simple. The new features will apparently be rolling out to all Dropbox users on iOS and Android “in the next few weeks”. And next year, the cooperation between the cloud storage company and Microsoft will make it to the Web, where the Dropbox website will work with Office Online (and the other way round, naturally). 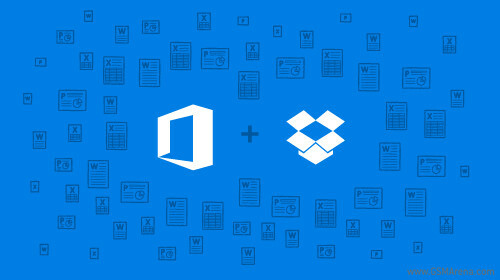 As a consequence of this partnership, Dropbox will also release official apps for Windows Phone and Windows tablets “in the coming months”.